In this article, we’ll cover everything you need to know about CBD oil for horses. The ways in which it can benefit your horse may surprise you. Let’s get started! With the growing conversation surrounding CBD oil for animals, many pet owners have questions regarding how an herb could have such incredibly medical benefits. Before we dive into all of the ways that CBD oil can help your horse, let’s clear up a few misunderstandings. There is still a rather negative stigma surrounding the cannabis plant due to its association with the “stoner” characters portrayed on television. However, this generalization couldn’t be farther from the truth in terms of the cannabis oil used for treating ailments. In efforts to help remove the stigma, we want to explain a few things more in depth. We hope that our readers will then be able to educate others and more correct knowledge regarding cannabis oil will be passed on from there. The more pet owners that know the benefits of CBD oil, the more animals that can be helped in an all natural, non-toxic way. We feel that’s something we all can stand behind. Perhaps the most important difference between the hemp plant and the marijuana plant is that CBD oil derived from the hemp plant contains no more than 0.3% THC. Why is this so important? We’re glad you asked. THC is the chemical compound that gives its users the euphoric, “high” feeling associated with cannabis. Due to the fact that the levels of THC in the hemp plant are virtually non-existent, hemp-derived CBD will not get your horse high or experience any euphoric feelings. Many pet owners wonder if CBD for animals will get their pet “high.” The answer is absolutely not. It is important to note that CBD can also be derived from the marijuana plant. The CBD oil will contain higher traces of THC, the psychoactive property that most associate with getting high. But with the ability to isolate the CBD to 99.9%, the THC is not present. Although many studies prove that horses can tolerate marijuana-derived CBD*. *Additionally, it is necessary to mention that while horses can tolerate marijuana-derived CBD, other animals, like dogs and cats, cannot. Again, in most cases, this won’t be an issue but if you live in a state that has legalized marijuana products it is imperative that you only purchase hemp-derived CBD for your animals. Horse owners are finding that hemp derived CBD oil can benefit their four-legged friend in a number of ways. In fact, CBD oil is proving to not only treat common health conditions, but also help to prevent them from developing or worsening. Let’s take a look at all the ways CBD oil can benefit your horse. One of the most common health conditions that many horses face is arthritis. The disease is caused by chronic inflammation which leads to permanent degradation of the cartilage surrounding the horses’ joints. Arthritis can cause the horse to experience a terrible amount of pain and ultimately affect their quality of life. Luckily, CBD can help. When it comes to arthritis, the disease is unable to be entirely reversed. However, pet owners can help prevent it from worsening as well as alleviate any associated pain that their horse is experiencing with CBD oil. Perhaps the hardest part of being a pet owner is recognizing that your horse is in pain. Conventional pain medications are accompanied by a slew of potential adverse reactions that leave many wondering if the risks are worth the possible reward. Of course, you don’t want your beloved horse to be in pain, but at what cost? Thankfully, horse owners now have options when it comes to alleviating their horses’ distress. CBD’s anti-inflammatory properties are what make it such an effective remedy for pain relief. In fact, CBD is so effective at relieving pain that experts are considering it to be a new drug class for treating chronic pain in people and animals alike. Hemp-derived CBD oil can also help provide relief for horses facing acute pain. The best news? CBD hemp oil has virtually zero side effects, much unlike those associated with conventional pain medications. At one point or another, many horses are diagnosed with gastric ulcers. Sadly, up to 90% of adult horses will be diagnosed with gastric ulcer disease at some point in their life. The ulcers can be incredibly painful and affect the horse’s appetite and overall nature. In cases of equine gastric ulcer syndrome, CBD oil can help. By implementing CBD oil, pet owners can help to relieve their horse’s discomfort and support the body’s natural healing process. Every day, hundreds of horses are diagnosed with a disease called laminitis. Laminitis is the inflammation of the tissues within the horse’s hoof. The disease often causes the horse to experience a severe amount of pain and negatively affects their quality of life. If your horse has been diagnosed with laminitis, implementing CBD oil can help. Another ailment that can benefit from CBD oil is colic. Colic is a condition that affects the gastrointestinal tract and can cause the horse to experience horrific abdominal pain. In cases of colic, a CBD supplement can provide pain relief and work to reduce present inflammation affecting the horse’s GI tract. Desmitis is caused by inflammation of the horse’s ligaments, typically in the legs and coffin joint. The commonly diagnosed disease is another which can benefit from a CBD oil supplement. By reducing inflammation, CBD oil also proves to effectively reduce and control allergies. Many times, allergy symptoms appear in the form of skin conditions which can create even bigger issues for a horse owner. Skin issues such as hives and pruritus (severe, intense itching) can be managed and prevented by implementing CBD oil into your horse’s life. CBD hemp oil contains omega-3 fatty acids. Studies show that these fatty acids help to absorb vitamins and therefore support overall immune function. By implementing CBD oil into your horse’s diet you can effectively help their body fight off disease and prevent illness. Just like humans, horses can experience bouts of anxiety, particularly when traveling in a trailer. Additionally, some competition horses may experience something called “arena anxiety” which can also affect the anxiety level of their rider. In these instances, CBD can help. Clinical trials prove that CBD oil is an effective way to manage present anxiety as well as prevent it. Horse owners can administer the oil prior to a stressful event and help control their horse’s stress levels. Because hemp-derived CBD has less than 0.3% THC, your horse won’t feel loopy or drowsy. They will still be able to perform or travel, just without the associated anxiety of doing so. By implementing CBD oil into your horse’s life, pet owners are able to have control over health issues that once seemed out of their hands. The dose of CBD oil varies greatly from species to species as it is typically based on weight. Obviously, a horse will require a significantly higher dose of CBD oil than your dog. Any CBD product that you purchase will have a recommended ml per lb label which can help pet owners accurately administer the product. With that said, as always, we recommend consulting with a holistic veterinarian regarding the appropriate CBD dosage for your horse’s individual needs. Some conditions may require less or more of the supplement than others. With the rise in popularity of CBD oil, many companies are producing a wide array of CBD products. From balms to sprays to specially formulated treats, the options are growing by the day. When it comes to CBD for horses, most experts suggest sticking to CBD oil. CBD oil comes in tincture form with an easy-to-use dropper. The dropper allows pet owners to have total control over how much of the product their horse receives. Additionally, most horse owners report that administering CBD oil is an easy process that their horse doesn’t seem to mind one bit. In order to alleviate pain resulting from chronic inflammation, we recommend using CBD oil. The oil can be administered directly into the horse’s mouth. Experts recommend administering the oil under the horse’s tongue (when possible) as it will be absorbed the fastest that way. Again, the appropriate dosing will be provided on the label but we also recommend talking with your holistic veterinarian. Acute pain and chronic pain may require different dosages. First and foremost, make sure that the CBD oil that you purchase for your horse is all natural. If the product is not all natural then it may have been treated with pesticides, fungicides and/or solvents. Using a CBD product that contains traces of these toxic chemicals ultimately defeats the whole point of choosing a holistic alternative for conventional medications. Choose all natural! You won’t regret it. Next, make sure that the CBD oil comes with a certificate of analysis. The certificate of analysis is a lab report which shows exactly how much CBD the product contains. 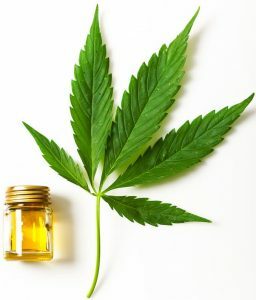 Unfortunately, with the rise in popularity, many companies are selling products that only contain traces of hemp extract, yet they are marketing when as CBD products. Not only are these products a waste of money, but they won’t deliver any positive results. Any reputable company should be able to provide their product’s certificate of analysis. Additionally, we recommend purchasing full spectrum CBD oil as opposed to CBD isolate. Full spectrum CBD offers more benefits in terms of alleviating both pain and anxiety. CBD isolate is cheaper for companies to use and, therefore, many companies use it. However, it is important to choose a company that uses full spectrum CBD if you want to see optimal results. Finally, let’s discuss price points. With so many companies producing CBD oil and CBD products, you’ll likely find a wide range of prices. When it comes to CBD you truly get what you pay for. Yes, some companies may sell their oil at a lower cost, but are you reaping all of the possible benefits that the oil has to offer? Are you purchasing a lab tested, quality product? These are questions pet owners must consider before choosing the best CBD oil for their horse. Yes. Clinical studies prove that CBD oil is safe for horses and can deliver incredible results. If your horse is suffering from any of the aforementioned health concerns, CBD oil can help. Furthermore, if you are actively seeking ways to prevent diseases from developing, we highly recommend implementing CBD oil into your horse’s life. We know that your horse means the world to you. Most owners would go to the ends of the earth to ensure their horse’s happiness and health. We also know how difficult it can be when health issues arise. For some, the ailments are nearly impossible to prevent. If you recognize any symptoms of disease, don’t delay in getting your horse the help they need.